Robert Frost’s “Mending Wall” is an oft-misconstrued exhortation against the notion that an ideal neighbor is one kept behind the safe partition of a wall or fence. 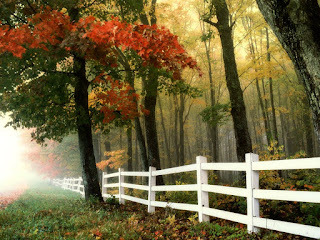 The poem’s most famous line, “Good fences make good neighbors,” has been regularly employed quite conversely to Frost’s intent, making "Mending Wall" one of the great examples in literature of the potential danger of a quote ripped from its context. One high profile example occurred in 2010 when, while addressing her next-door neighbor (and a vocal critic of her newly released book), former Vice President nominee Sarah Palin used that very line from Frost’s poem to imply that they could remain cordial as neighbors as long as they built a "tall fence." The true meaning of Frost’s poem, however, is evident with a more scrupulous examination of the lines that surround this famous excerpt. For example, Frost's narrator describes the differences of his yard with his neighbor’s but with clear criticism of the idea that one's proximity to the other would lead to mutual detriment: “He is all pine and I am apple orchard. / My apple trees will never get across / And eat the cones under his pines.” This observation lays bare how innocuous and superficial the dissimilarities are, rendering the necessity for a divisive fence absurd. The poem’s thesis, of un-partitioned, harmonious difference, seems of deeper poignancy and relevancy than ever here in the United States of the 21st century. The bitter election of 2016 left our country hotly divided, and the fences we've constructed between our neighbors, both literal and metaphorical, are taller, stronger and more opaque than ever. 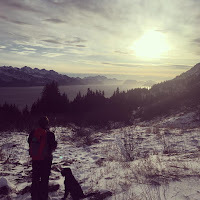 So to arrive at last at the original inspiration for this blog post, let me bring you to Alaska, my new home state. There is no question to anyone who has lived or even visited here that a different sort of person is drawn to the unique features of this rugged place. It is a state defined by utilitarianism and community reliance. In their intense isolation, Alaskans have long been forced into dependence on the resources present and each other to survive the long winters and vast separation from the rest of society. Coming from the lower 48 (more specifically Colorado where land is grotesquely expensive and people often define themselves by the size and scope of what they own) the notion of carefully separating and even guarding what is yours has been etched into my conscious as merely a fact of life. Therefore, upon moving here it was a great surprise to find that in Alaska fences are decidedly rare. The reasons for this lack of artificially constructed borders are likely multifold. For one, resources are scarce and expensive this far removed from the mainland. 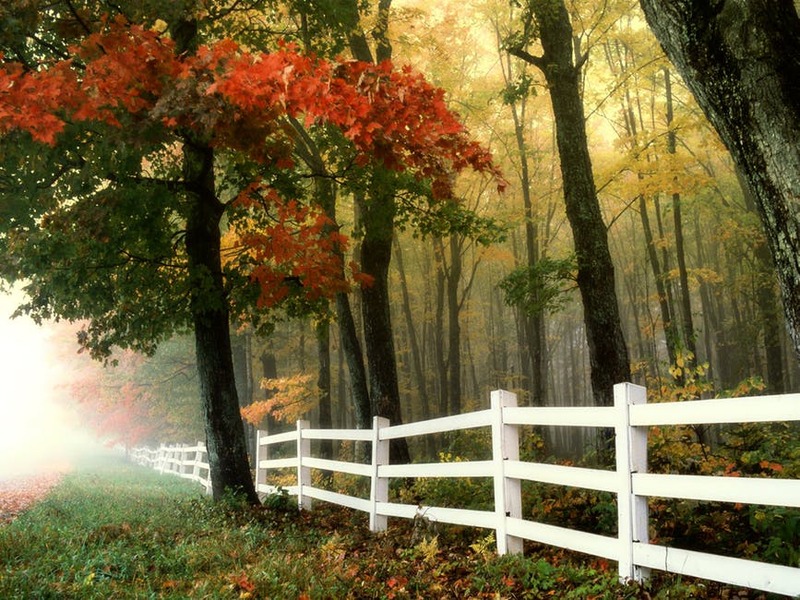 The simple cost of building a fence is prohibitive enough discouragement. Secondly, city planning and such things as building codes are rather haphazard, and the people are much more inclined to a “just do it how you want” philosophy. While I am sure that buried in some office in the city building downtown there are detailed maps of property lines and legalese definitions, on the ground such guidelines seem exceedingly indistinct and subject to interpretation. However, in my opinion the most important reason why people shy away from fences in this state seems to be a pervasive insistence on community. Even in a town with a split personality, where last year’s election was virtually a 50/50 split and where intellectuals and blue-collar workers exist in nearly equal dimensions, there is a much more ingrained sense of “we are all in this together” than anywhere else I've ever lived. In many places in the United States so much venom is directed towards neighbors over their political convictions or lifestyle choices, virtually no dialogue exists over the “fences” we have surrounded ourselves with. 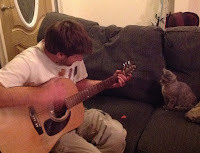 Here, much of that is put aside for the notion that, living in the same place and time, we truly are neighbors. 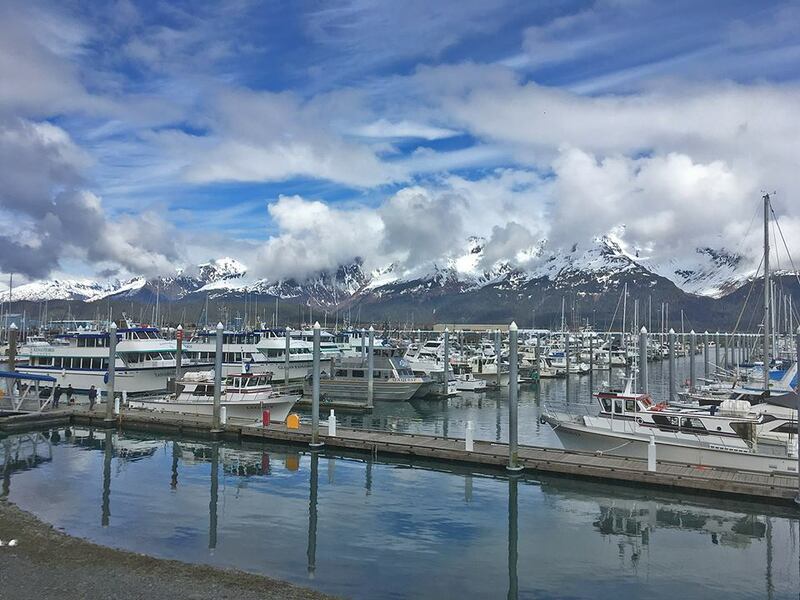 I have come to admire greatly this Alaskan community ideal and wish a little more of it would spill into the world at large. There is a great movement to return to nationalism. The United States wants to build a wall between it and Mexico. Some members of the European Union want to revert back to the days when each country remained in unblemished and distinctly separate sovereignty from the others. While I can appreciate the sense of pride people feel in their culture and in the place they live, I can’t help but wonder if the age of intense nationalist sentiment was the distinct cause of both of the 20th century’s world wars, and that a return to such a state is to flirt with the possibility of another, even more devastating conflict. Let me end with this diatribe with one last admonition: your yard might be full of pine trees and mine with an apple orchard. You need not worry, however, your pine trees are quite safe from my apples. NOTE: I am aware of the irony of saying "people should go fenceless like Alaskans", then using Sarah Palin (a citizen and former governor of Alaska) as a counterpoint. I suppose she just proves that there are exceptions to every rule. Also, other people, ones that have lived in Alaska much longer than me, have pointed out that recently the very community-first mindset of Alaska I have been praising seems to be changing in the current political climate. In fact, NPR just released a story discussing how politically charged fiercely divide the people are in Haines, Alaska, a town not terribly dissimilar from Seward. 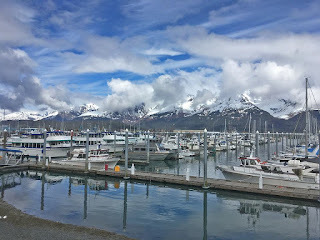 You may recall Haines as one our recent stops on my "18 Days Up the Coast" blog post a couple weeks ago. Despite this, I am sticking to my guns, here, and going simply on my own observations. But my fruit trees are not safe from the neighbours' sheep.